Watch your mail for your Off to the Races invitation, and plan to join the fun! This year’s auction is on Saturday, May 4 at 6:30 p.m. in the MacDowell Athletic Center. 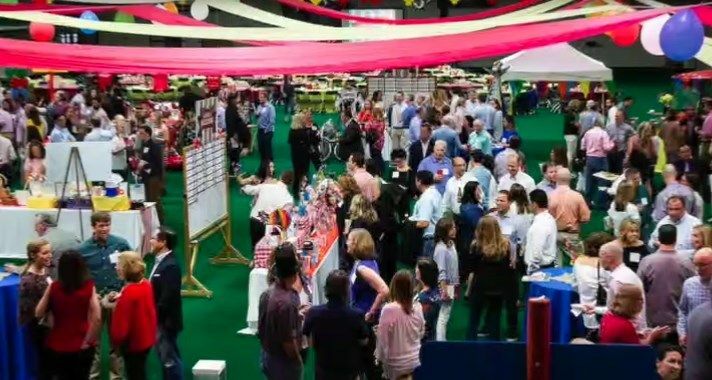 The Rivers Auction is the largest community gathering of the year, as well as the largest fundraiser for the Rivers Parents’ League. This year’s theme is “Off to the Races,” and it should prove to be another fun and festive evening. There will be a wide range of items offered at both a silent auction and live auction, delicious food, a raffle, wine horseshoe toss, and much more. Proceeds support faculty professional development and student technology. Spread the word … come to the auction … and get ready to celebrate being part of our amazing Rivers community! Questions about volunteer opportunities and donations? Please contact Amy Dunne, Director of Parent Programs and Special Events, at a.dunne@rivers.org.